What to Do With Cake Scraps? Our contributor, Erin Gardner of Erin Bakes, is back with a new tutorial today! Join along as she shares a new cake project with a step-by-step tutorial. Cake scraps! Also fondly known as Cake Top. You know what I’m talking about…. the extra dome of cake that gets cut off during the leveling process. We all have cake scraps and no one likes to throw them away. 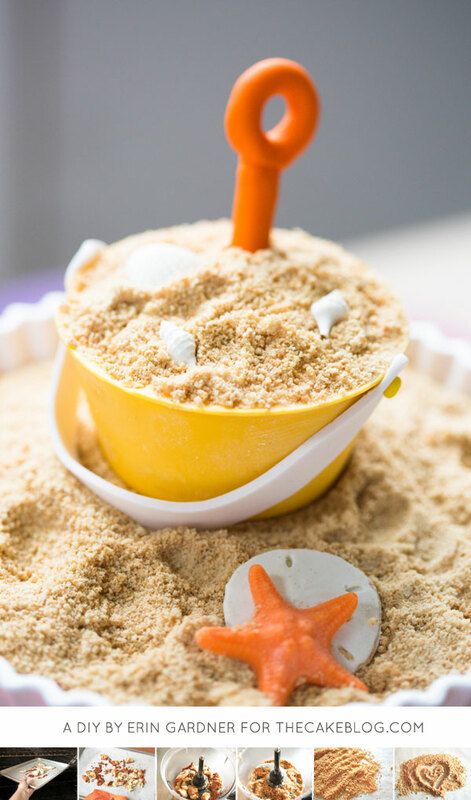 If you don’t immediately give in to the temptation of snacking on your scraps, you can use them to create “sand” or “dirt” for your next cake design. I love this trick because it saves you time and money. 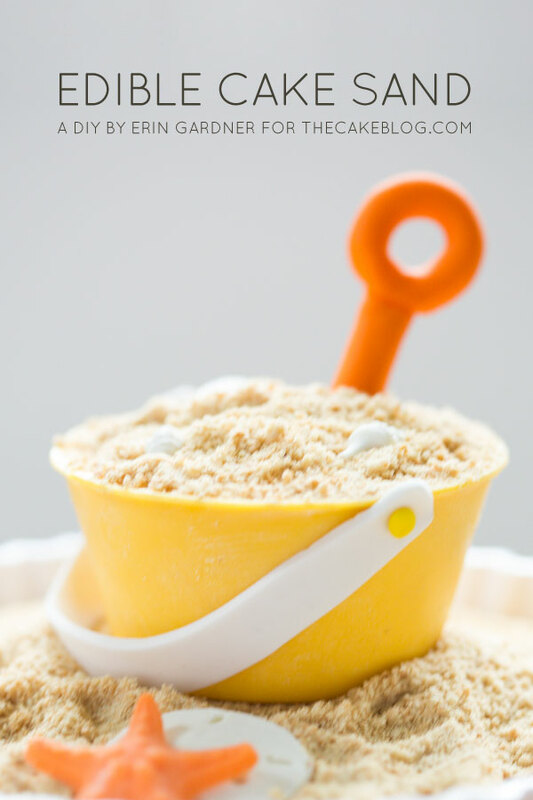 No more wasted cake and no need to buy extra brown sugar or ground up cookies when creating your beachy cake designs. 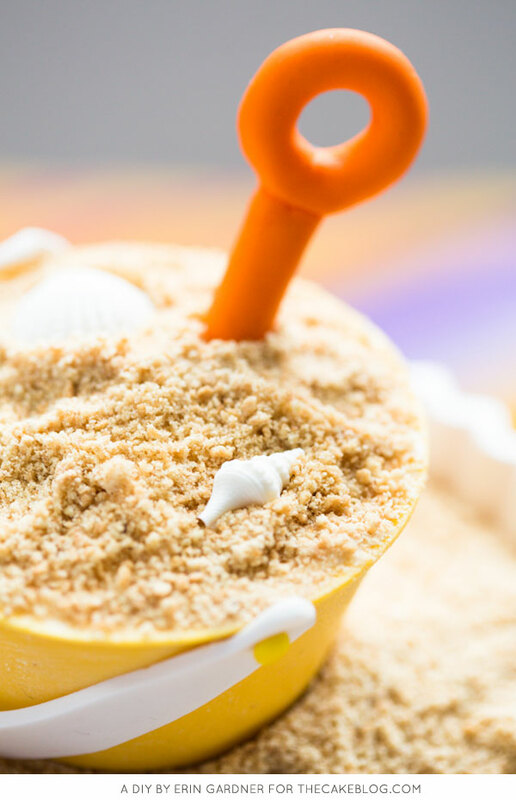 I used my cake sand to transform a mini-bundt cake into a sand castle and to top off a sweet little candy melt sand pail. 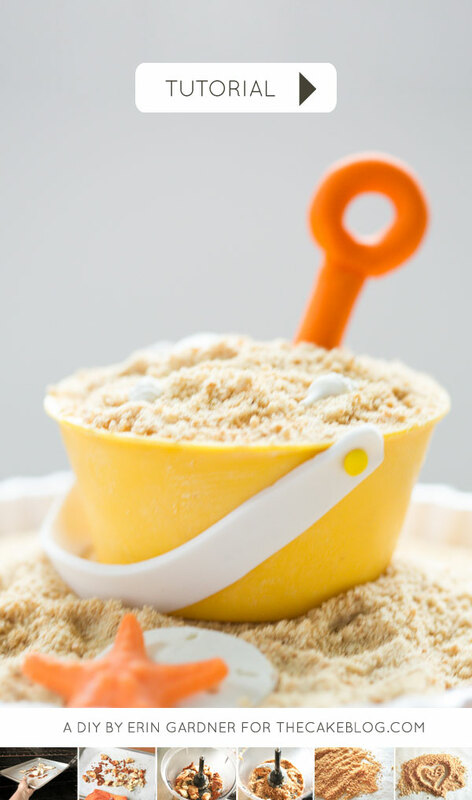 Beyond the beach, cake sand can be used to dress up the sides of a simple buttercream frosted cake, or as “dirt” on a garden or construction themed cake. Let’s learn how go from extra cake scraps to fabulous cake sand! I will surely try this. Most of the time I save my cake tops to make cake truffles. Waste not want not!! LOVE this idea! The cake is cute too! Hi, thats a fantastic idea, what do you use to make it stick to the sides of the cake?